California teeming our first day there. barbecue adrift in the short-lived lake. sightseeing, we endured mall to mall perspiration. baptised this city in the irrigated valley. endemic dampness to the bone? drizzle on his face, freshening skin and soil and soul? This poem, which was published in Crannóg Summer 2006, was written as a result of a holiday in the town of Turlock, California Easter 2005. The day after we arrived it poured rain which was not what we expected from California. The rain was short lived and for the rest of the holiday we enjoyed very fine hot weather. Turlock was founded in 1871 by Mayoman, John William Mitchell, who chose the name after Turlough in Mayo. Turlough refers to a seasonal lake. Information about turloughs at Wikipedia and at ENFO. forthcoming volume Painting Rain which is due out in March. She read one of her early poems, Buying Winkles, which is on the Leaving Certificate syllabus. There is a commentary of it here in skool.ie. The end of teazel is the start of Ariel . . . The event was more like "An evening with Paula Meehan" than a poetry reading. She "read" some of the early poems by heart which was impressive. She introduced each poem and at the end answered a wide range of questions which dealt with the important issues like her attitude to free verse as against formal structures, the poetic "I", her attitude to her early poetry. She had this lovely phrase about using given poetic forms - "It makes you say something that you didn't know you were going to say". performance not a dull reading, the need to feel confident and proud about our work. Paula's reading was an excellent example by a skilled reader. I had decided to say very little by way of introduction to my own two or three poems but after listening to Paula I wonder. There is an interview with Paula Meehan here. 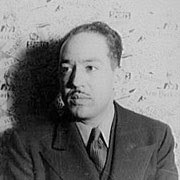 Yesterday was the seventieth anniversary of the death of W.B. Yeats at Roquebrune on the French Riveria and the event was marked by commemorations and newspaper articles. The Irish times today has an article on a commemoration in Sligo which included the launch by Seamus Heaney of a Yeats' Tourist Trail. In yesterday's Irish Times Eileen Battersby wrote a comprehensive article on Yeats' position in the literature of the twentieth century entitled The road to immortality. "In life he was famous. In death he has become immortal, a national poet, an eccentric seer, whose love of country never deflected his rise as an international artist." in France and that the wrong body was taken to Sligo after the war. An article in the Guardian some time ago dealt with the same rumours. 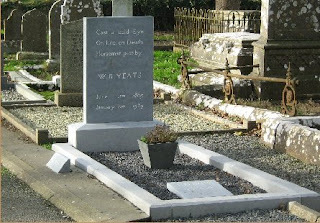 Many of the articles quote from W H Auden's poem In Memory of W. B. Yeats. Read the full poem on the Poets.org website here. I'm delighted to hear Sebastian Barry won the Costa Book of the Year Award last night for his novel The Secret Scripture. I read this book recently and was impressed even though I thought the neat ending unsatisfactory. Comments from the judges reveal that they were also unhappy with the ending. It seems unusual that judges make public such comments which sound very school master-ish. You can almost image a copy of his novel sent back to Barry with lots of red marks on it and "A good effort but ending unsatisfactory" written on the last page. The Independent even has the headline Barry's 'flawed' novel wins Costa prize here. Show me a flawless novel!! Reports indicate Adam Foulds book of poetry The Broken Word was a close second. This seems to have taken commentators by suprise. It's great that a book of poetry is again so close to the top but while I enjoyed Foulds' book I would not have considered it as good as Barry's novel. The Costa Book of the Year which has has a £25,000 prize, recognises the most enjoyable books of the past year by writers in the UK and Ireland. Report in the Irish Times here. Item in the Guardian here. Picture of Sebastian Barry above from the Independent. The death of poet Adrian Mitchell (picture above from the Guardian) in December meant that his well-known remark "Most people ignore most poetry because most poetry ignores most people" which comes from 1964 was quoted extensively. In an article in the Guardian poet John Hartley Williams takes issue with Mitchell's famous remark, and analyses what it means. He concludes: "Real poems bear witness to the long unfolding situation that is the present that has been going on forever. . . it usually turns out to be rather old news expressed in such a way as to make it unforgettable." 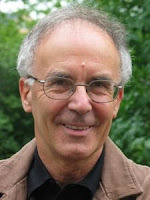 John Hartley Williams also contributed to the Guardian series of poetry workshops. His workshop is here. 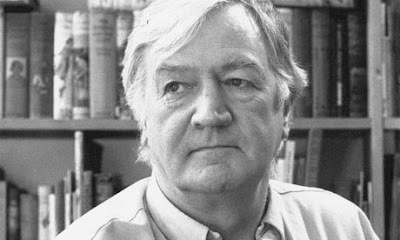 He reads at the Éigse festival in Cork on 20 February. 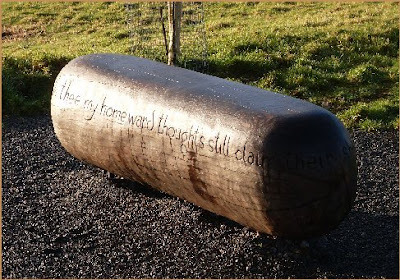 having time to read the poetry on the seats along the Boyne Walk at Newtown, Trim. T hese seats were installed last year and each has a short extract from a poem. Trim businessman and local newsletter contributor, Matt Gilsenan, recently pointed out the source of the poetry. 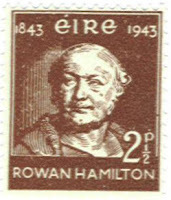 It was written by the famous mathematician, Sir William Rowan Hamilton (1805 – 1865) who though born in Dublin lived most of his early days in Trim. Hamilton was very interested in poetry and was friendly with William Wordsworth and Maria Edgeworth. The poetry on the seat above comes from a sonnet written as he was returning to Ireland. Thy fair but hidden form lingers so late..
My hear, my life, to thee are dedicate." Trim has a Hamilton Place housing estate. It's true, it's on the Irish Times website here. Ah he said it on the BBC. OK one story for the foreigners and one for home consumption, I see. What a clever Minister he is. I have grown to despise "The News", that package we watch, or used to watch, at least once a day which purports to be a digest of what happened in the country and the world. I was talking about this to someone the other night and came up with this wonderful slogan: The News is not the news. Great isn't it. The point I was making is that The News is a television programme just like Home and Away or Who Wants to be a Millionaire, Last of the Summer Wine or Dallas with the same production values and the same need for high audience ratings. It has little to do with what is actually happening in the country/world. It's great when you find something to agree with a rant of yours straight away. The Irish Times has a short review of the paperback issue of Flat Earth News by Nick Davies (Vintage , £8.99) According to the review "Davies points to the new realities of newsrooms, where 'churnalism', cutbacks and internet-adjusted deadlines have proved so damaging that most journalists 'work in structures that positively prevent them from discovering the truth'". The Flat Earth News homepage is here. And then there was this piece in the "Bad Science" column in yesterday's Guardian on the media hyping of so-called "Blue Monday". The joins, make all look one. A pardóg of midland willow. No prize this time but pride. This poem, first published in Crannog Winter 2005, is written in the voice of my grandfather who was a thatcher and creel and basket maker. He entered a basket, a sciathóg, he had made in my name in the local agricultural show in the mid-60s and it won first prize. Only recently I found Kathleen Mc Cormick, a local basket maker, who taught me to make a pardóg and proved that I could have won that prize myself. Poet Paula Meehan will read in Blanchardstown Library on Thursday 29th January at 7.00pm. All welcome, to book telephone 890556. 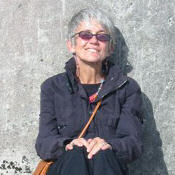 Born in Dublin in 1955 Paula Meehan has published five collections of poetry, her latest, Painting Rain, is due in early 2009. She has also written for the stage and radio. Information here and here. This is part of a monthly series of poetry reading in the library. Among those reading later in the year is Michael Longley who celebrates his 70th birthday this year. Sing the names of the dead who brought us here . . .
built brick by brick the glittering edifices they would then keep clean and work inside of. At least two articles in UK newspapers have been critical of the poem. The Times literary editor criticises the poem here. Carol Rumens of the Guardian is also critical here. Full text of the poem here. Watch the poet reading the poem here on YouTube. A classification in a bookshop in London last week caught my eye. It read "Miserable Childhoods". Another category nearby was "Happy Childhoods". Fewer books in the second category of course. I try to avoid those miserable childhood memoirs though sometimes when people look at my school photo on the right they exclaim "Angela's Ashes". The received wisdom about the fifties in Ireland is that they were dark and dreary with an isolated Ireland wallowing in misery. As someone who grew up then I always resist that. My memories are of freedom and of awareness of what was going on everywhere in the world. We did have radio and newspapers, the Irish Independent on weekdays and the Sunday Press on Sundays. We read books from the school library. This came from Sligo Library and was renew fairly often. Sometimes the great Nora Niland herself came with the new books. The Arts Centre in Sligo bears her name as does its art collection. We read the Famous Five of course and also Patricia Lynch but my favourites w ere the Jennings and Darbishire series by Anthony Buckeridge - humorous English boarding school adventures. I recently bought three of these books on eBay in the plastic covered Collins wrappers I remember well. Of course we read comics as well. My grandfather bought us Film Fun, The Beano and Knockout every week. We knew what was going on in the world. I remembered listening to the radio as the Hungarian uprising of 1956 ran its course. I remember Melbourne Olympics in 1956 and Delaney's gold medal, Grace Kelly's marriage, the beginning of the civil rights movement in the USA, the heavyweight championship bouts and the space race. I remember playing a game in the school yard in Rockfield school where one person was Carl Chessman and the others were police trying to catch him and execute him. Don't remember Carl Chessman the Red Light bandit? He was finally executed in 1960 after years on death row. So I'm certainly not going to write a memoir of miserable childhood. Read and listen to the whole poem on Poetry Archive here. The Dun Laoghaire Poetry Now International Poetry Festival has become one of the top poetry festivals in the country. This year's event takes place from Thursday 26th to Sunday 29th March 2009. The festival website doesn't seem to have been updated yet but some details are available on this page from the venue, the Pavilion Theatre, Dun Laoghaire. Some very interesting poets there including Colette Bryce and Adam Foulds on the Sunday. Adam is the author of The Broken Word which won the Costa Poetry Book award recently and Colette who is from Derry tutored an Arvon course I attended in Yorkshire two years ago. This festival brings together poets of many nationalities – Irish, English, American, Lithuanian, Slovenian, Indian - many of whom are relatively unknown here. Especially interesting this year are Slovenian poet Tomaž Šalamun, (picture left from his website), Belarusian poet Valzhyna Mort and Lithuanian scholar, poet and author Tomas Venclova. The keynote address is by veteran US poet, novelist and translator (of Dante's Inferno among others), Robert Pinsky, who served as US Poet Laureate 1997 - 2000. A photo from my London visit. 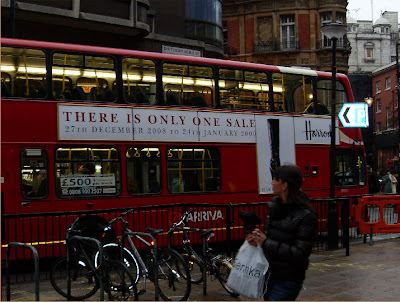 I had read a bit about this advertising campaign and was delighted to see some buses bedecked. A strange text thought - "There's probably no God. Now stop worrying and enjoy your life". Surely in these times what we need is a bit of certainty, that "probably" seems odd. If Christians said that there "probably" was a God wouldn't they be ridiculed. And then the "Enjoy yourself". Are believers usually down in the mouth sad people? My experience suggests not. It does raise the old question about how do you recognise a religious person and maybe challenges those who believe to stand out from the others. But not by showing worry surely! 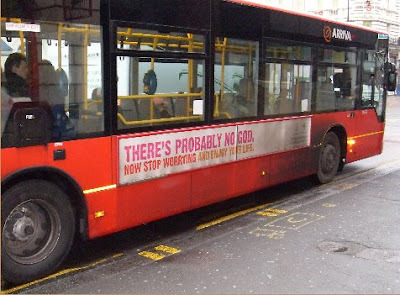 The bus ad suggests that believers should be the less relaxed ones. Surely certainty in belief, even if it is mistaken, is more likely to bring contentment than worry and it may be those who don't believe who "probably" worry more. Anyway I have no objection to an ad like this. Is the ad on the bus below not much more ridiculous, snobbish, false, elitist, selling a dream of happiness and wealth. No time for more, it's Sunday and I have to read at Mass. The homepage of the atheist advertising campaign here. A Guardian report of an objection by a bus driver who is also a believer here. Canadian-born Poet Todd Swift, who lives in London often comments on religion in his blog Eyewear. His blog entry on the bus is here. These lines of Yeats are quoted in the introduction to the current exhibition in the Royal Academy, London Byzantium 330–1453. This was probably the highlight of my visit to the city, a wonderful journey over 1,000 years of history with over 300 splendid objects displayed. These objects came from many parts of Europe, few if any from Turkey itself. This reflects the fact that most of the its treasures were looted at various stages, many by the Crusaders when they sacked the city in 1204. A collection of wonderful icons from the monastery of St Catherine in Sinai were on display. These were among the highlights but in truth everywhere you looked there were objects which amazed. 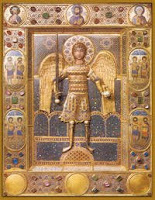 A striking icon of St Michael the Archangel from the thirteenth century now in Venice caught my eye. (Below from the exhibition website). One thing which occurred to me was the similarity of many objects in the exhibition to objects from early Christian Ireland. The Ardagh and Derrynaflan chalices, psalters and gospel books, processional crosses would not have been out of place. Having been to Florence last year this exhibition was in some ways the prequel - what led up to the Renaissance. A video about the exhibition in the Guardian here. Review in the Independent here. You can't go to London without attending a show. Buddy was the choice dictated by compromise, availabilty and price. 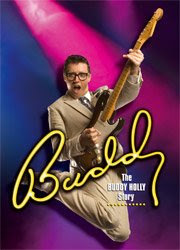 Enjoyable, well staged and well attended by an audience which needed some work before it performed its part as the audience especially at the last Buddy Holly show in Iowa before the plane flight and crash. First act was snappy with plenty of conflict, rock and roll v country especially. As a stage show the main problem is how is to deal with the death so that's on your mind as the second half proceeds. It becomes a jukebox show towards the end with a recreation of Buddy's final show with Ritchie Valens and The Big Bopper at the 'Winter Dance Party' in the Surf Ballroom in Clear Lake, Iowa in February 1959. Good performances from all concerned and the audience eventually livened up. Was there any need for the short "death scene"? Probably not. The show ended with the curtain calls by the performers as performers in 1959 and Buddy wishing us "Safe home". Wikipedia on the musical here. I took the opportunity while in London to visit two art exhibitions, both excellent though very different. The first is in the National Gallery, Renaissance Faces: Van Eyck to Titian. This ends on 18 January 2009. This exhibition explores the dramatic rise of portraiture in the Renaissance and includes portraits from the great masters of Northern and Southern Europe, includes work by Raphael, Titian, Botticelli, Van Eyck, Holbein and Dürer. It was a great opportunity to see some of the greatest works of portraiture together. The climax for me was the great and well known portrait of Pope Paul III by Titian of 1543 from the gallery in Naples. The hands with their spread fingers, the head without the papal cap, the eyes staring somewhere to the right combine to create a picture of a powerful but uncertain man. The other exhibition is the Rothko exhibition in the Tate Modern where the artist's paintings held by that gallery are augmented by other important works. His Seagram Murals were originally commissioned for The Four Seasons Restaurant in the Seagram Building New York. The artist abandoned the commision, gave back the money and kept the paintings. There is a rumour that he went to eat in the restaurant and found it elitist and very expensive and swore that his paintings would never hang in such a place. Rothko’s paintings seem far removed from the renaissance portraits. His are large paintings with a few basic shapes in deep dark reds, oranges, maroons, browns, blacks, and greys. They are impressive especially when viewed together in a show like this. Guardian review of the exhibition here. I now always take the audio guide if one is available for art exhibitions and have found them well worth the small cost. The audio guide for the Renaissance show was adequate but that for the Rothko was the best I've yet come across. It was presented on a Dell Axim handheld pocket PC device, east to operate. It had items on each room in the exhibition which discussed the paintings but also the background including in some cases pieces of music the artist particularly liked to listed to. It also included some video interviews with the curator and the artist's daughter as well as readings of poems inspired by some of the paintings. Really helpful, a great use of technology - it was the equivalent to having a personal guide. BETT is an annual Education Technology show in Olympia, London. It is tagged as the world’s largest educational technology event. I have atteded it over the last ten years as part of my job. As the years went by it became more and more dispiriting as the gap between the use of technology in UK schools and in Ireland widened. I visited BETT today probably for the last time and wondered again at the range of products, hardware and software, available for schools, teachers and pupils. It almost made me wish I was a young teacher again. The great excitement of the launch of IT2000 in Ireland, the establishment of NCTE and the appointment of ICT Advisors to primary and post-primary schools in Ireland slowly died as it became apparent that there was no long term plan on the part of government to fund ICT use and development in our schools. This was not done during the plentiful years of the Celtic Tiger and it leaves schools ICT in Ireland in a very poor state at the moment. The position of ICT Advisor has been abolished and schools have been left with very little support. There is some excellent work being done by teachers and schools convinced of the value of ICT. The Computer Education Society of Ireland (CESI) keeps the flag flying. It will hold its Annual Conference next month. Well worth a visit by anyone interested in computers in schools. Secondhand bookshops and art galleries beckon. Going for a walk along the Boyne by Trim Castle mid-morning in January. Birdsong almost drowns out the noise of traffic on the road to Dublin. The bells of the nearby Primary and Post-Primary schools keep ringing. Who cares? Oh and I have to pack a small bag for a quick trip abroad. Poetry magazine (USA) for January 2009 has the usual mix of interesting poetry, comment and letters. One of the letters is from a poetry study group in a retirement community in Houston, Texas. They complain that they cannot make head or tail out of the poems in the magazine." They maintain that the poems are "only phrases, snatches of words or thoughts in random order, with very little cohesion" and are neither enjoyable nor enlightening. To their credit Poetry did not ignore the letter. In the first place they printed the letter but also contacted the group and arranged a discussion with a representative of the group on the poems in the January issue. This discussion is broadcast on the magazine podcast available on the magazine website. I wonder if Poetry Ireland Review gets letters like that. Yesterday's Irish Times has a review by Colm Tobin of a biography: Rimbaud: The Double Life of a Rebel By Edmund White (Atlantic Books, 192pp. £16.99). 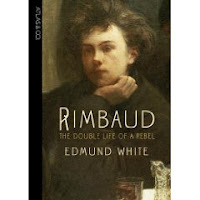 Rimbaud (1854 - 1891) remains one of the most influential poets of the nineteenth century. He had his first poem published when he was twelve and gave up writing poetry at twenty. Where did his talent/genius come from? One factor was certainly hard work. His mother was known for her iron will and saw that her son had talent so she hired a private tutor for him through whom he discovered Greek, Latin and French poetry. "She would punish her sons by making them learn a hundred lines of Latin verse by heart and if they gave an inaccurate recitation, she would deprive them of meals". This seems to bear out the essence of Malcolm Gladwell's ten thousand hours thesis. To encourage those of us who are older and have come to writing late there is the example of Diana Athill who at the age of 91 took the Costa Books biography award for her memoir Somewhere Towards the End , is the oldest-ever category-winning author in the history of the awards. Loose Leaves in the Irish Times recounts her advice: "Get out of bed and make yourself do something." I have just learned that one of the UK small poetry magazines, Decanto, will publish a poem of mine, Repentance, in one of their 2009 issues. Delighted! William Zantzinger, made famous by Bob Dylan in his early song, The Lonesome Death of Hattie Carroll, has died aged 69. The song describes how Carroll, a black barmaid, died after being hit by Zantzinger's cane. According to reports Zantzinger didn't think the 51-year-old was serving him fast enough. Dylan performed this song live ten times in 2008 so there's a good chance he'll sing it at one or other of the Dublin 2009 concerts. But with Dylan you never know - maybe he'll never sing it again. This song, according to Christopher Ricks professor of poetry at Oxford University, is "one of Dylan's greatest" and "a perfect song". His article here. I have just finished reading The Broken Word by Adam Foulds, the book which won the poetry book section of the Costa Book Prize. On the inside cover it is described as a poetic sequence and on the back cover as a verse narrative. This need to categorise the work seems to derive from the same source as the basic unanswerable question "What is a poem?". 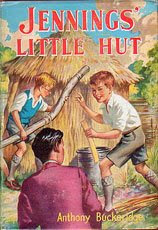 Foulds' poem is about the experiences of an English youth, Tom, visiting his family's farm in Kenya between school and university and getting involved in the violence associated with the Mau Mau uprising. Tom returns to England, goes to university and returns to normality. Some flashes of his Kenya days return however and we are left with the feeling that he will neither be able to forget or be able to tell what happened in Kenya. It's good to see a long poem getting recognition, so many poets write those short less than 40 line lyrics, wonderful when being read but very forgettable. I have been purposely reading some long poems lately including Fiona Sampson's The Distance between Us, Hart Crane's The Bridge and Wordsworth's The Prelude. Some are truly sequences where individual poems can be read on their own but taken together create a whole which is more than the sum of the parts. I have written a sequence of poems on Sligo during the Civil War. Two of the individual poems have been commended in competitions. You can read one here. Another long poem or poem sequence - Ciaran Carson's For All We Know - was also on the short list of four for the Costa poetry prize. Described on its back cover as a "novelistic book" and "a sequence of poems" I thought that Carson's book was easily the better book from the point of view of craft, subtlety and depth. The Independent review of Fould's and Carson's books here. The Guardian review of Fould's book here. The Times review of Fould's book here. Poet David Morley discusses both books here. Tower Poetry review of Fould's book here. One of the wonderful things about the Irish Times film reviews is the star rating especially the lowest one - "Avoid at all costs". I read the reviews regularly though seldom go to the pictures. Today's Irish times has an article by Eileen Battersby about the new film of Evelyn Waugh's novel Brideshead Revisited about to go on general release in Ireland. Not strictly a film review it compares the new film with the book and the Granada television version of 1981. That the article is titled Brideshead besmirched says it all. I was intr oduced to Waugh at college by Fr Thomas Lynch our English teacher - introduced in the sense of told about - there were no Waugh books in the small college library. When I went to training college in Dublin I bought most of the novels in the secondhand bookshops on the quay and enjoyed them. Brideshead Revisited was a strange one - not satiric like the others, more serious but wonderfully elegaic - not something someone of twenty appreciates. I watched the TV version in 1981 and reread the book then. This time last year the Daily Mail gave away the series over twelve days and I got them all. I watched them all again and reread the book. The first thing that strikes you is that the book is actually quite short. You expect a n epic but get a medium sized novel. It is a wonderful evocation of times past, times when everything seemed happy and full of promise. Waugh is a master of the language, a master of suggestion and master at using words and language to create a world of uncertainty and change, of transient happiness which is constantly threatened. One of the strong points of the TV adaptation was how closely it kept to Waugh's words though this adds to the feeling of hearing Jeremy Irons' voice as you read the book. I don't think I'll go to see the new film though I might reread the novel. I must add it to my list of favourite novels on the sidebar. Cavan Arts Office is organising the Caomhnú Literary Festival which takes place from 5th to 8 February. Full details are here. Highlights will include readings and workshops by Joseph O'Connor, Noel Monahan, Claire Keegan, Heather Brett, Kieran Furey, Billy Roche and Michael Harding. Heather Brett is facilitator of the LitLab group of which I am a member and both Noel Monahan and Michael Harding gave excellent workshops to the group last term. There will also be a reading by members of the LitLab group on Saturday 7th at 5pm. There is also a Caomhnú National Poetry Competition and Caomhnú Crannog Bookshop National Short Story Competition. Details on the website. The prizes in both competitions are 1st Prize €200, 2nd Prize, €100, 3rd Prize €70. The final date for entries is Friday 16th January 2009. Nice to see that Sebastian Barry has won the Costa Prize for Fiction for his novel The Secret Scripture. This was one of the few novels I read last year and I enjoyed it. The poetry winner was Adam Foulds for his debut poetry book The Broken Word. Described as a verse novella it deals with the Mau Mau uprising in Kenya. Times review here. More from the Guardian here. These two and the other category winners go forward for the Costa Book of the Year Award which will be announced in two weeks. The sixth of January today, a strange day. The twelfth day, little Christmas, the last day of Christmas but by now I think everyone has had enough. Most people have gone back to work after holidays and New Year resolutions have been made and broken. Decorations, Christmas trees are being taken down, stored or recycled. This is the Christian feast of the Epiphany, the coming of the wise men to the stable. Apparently the birth of Christ was celebrated on this day in the east at one time and so it remains an important feast there. Often the figures of the three wise men are only added to the crib today. At home they have been there all along, it seems unkind to have them there only for a day. Nollaig na mBan is an Irish name for this day apparently because unlike the Christmas feast, men took on most of the cooking and cleaning duties for this feast giving the women of the house time off. I always though that T.S. Eliot's poem The Journey of the Magi captured well that post-Christmas feeling of doubt. Even on a very superficial level there is that coming back down to earth: "Should we really have spent that much on presents? Are we actually going to keep all those promises? Yes it was nice to go the Christmas Mass but every Sunday? It's lovely to have frost and even snow at Christmas time but I can't wait for the summer." There is a general feeling of having overdone it - the celebrations, the eating, the goodwill, the religion - and the need now to get back to reality and the dark days of January. On 11 June 1970 at about 7 pm I was strolling along Nassau Street, Dublin and stopped to look at the books in the window of a bookshop. I was approached by a tall man a little older than myself who asked me if I would like to buy a copy of his recently published book of poetry. I bought a copy and he inscribed it for me "with appreciation, best wishes, happiness." It would be nice if this story ended with the poet becoming a household name and this early signed work now being worth a small fortune. Alas not so. The poet's name was Eugene Robert Platt and the volume was called "coffee and solace" - yes lower case hardly a capital letter in the whole book. The influence of e. e. cummings was strong then. I kept the book over the years and last night I took it down again. It was published in May 1970 by Commedia Publishing Division, Dublin and Charleston, South Carolina - probably his own imprint. He was a native of Charleston and was a graduate student of Anglo-Irish Literature at Trinity College, Dublin when I met him. A search on the internet shows that he apparently published very little afterwards though he did edit a A Patrick Kavanagh Anthology, which was published by Commedia in 1973. 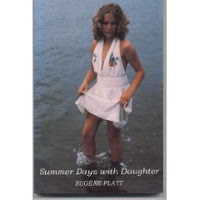 He did continue to write poetry it seems and in 1999 his New and Selected Poems, 1968-1999 was published under the title Summer Days With Daughter. This was published by Hawkes Publishing Charleston and copies are available on the internet. Should I buy a copy? No New Year resolutions any more. I have made, kept and broken so many resolutions since 1947 (well 1953 actually) that there seems little point. A strange beginning to the year, a mixture of apprehension because of the economic downturn and the war in Gaza with some hope because of the election of Barach Obama in the USA. He will certainly be a change from the present incumbent but it remains to be seen if it will make the huge difference some people seem to expect. 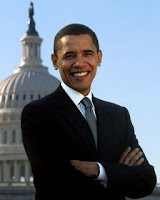 Obama has chosen African-American poet Elizabeth Alexander described as "a relatively unknown poet in her mid-forties" to read a poem at his inauguration on 20 January. This tradition of having a poet read at the presidential inauguration goes back to Kennedy. Famously then Robert Frost was unable to read his poem because of the light and recited his "The Gift Outright" from memory. Poetry Foundation item on Alexander here. Poets.org item on Alexander here. A nice piece by Anne Enright in today's Guardian in the Author, Author slot here. A lot of it is the usual stuff about so-called "writer's block" (or is it writers' block?). The sentence which I would have framed over my desk is "There is so much guff talked about creativity, and the more of this guff you talk, the more you are in danger of becoming blocked." I myself, if I had time, would formulate a theory that anything denoted by an abstract noun cannot in fact exist. This would especially argue that there is no such thing as creativity. This would be a great boon to all writers, artists etc who could then get on with the job of making things, poems, novels, paintings without having to be "creative". I know it's 2009 but I've just finished my last 2008 job, making a small press for my office/library/study. Should have been done in September but continually put on the long finger. Finished today - smelling the varnish hmmmmmmmm. Now what about 2009. Lots about Harold Pinter here in the Guardian. It includes a link to a recent audio interview. The Guardian is my latest favourite newspaper - on Saturday anyway. I have given up Sunday newspapers for years and years even since the Observer got so heavy. I don't buy many daily papers either, I read news online all the time. Certainly don't agree with those who say things like "You can't beat the feel of a newspaper in your hands". It's 2009, get with it dudes!! OK it's the varnish fumes taking effect. Hearing Seamus Heaney read at the Dun Laoghaire Poetry Now Festival. Hearing my second prize winning poem "I Taught You How to Drive" read at Dromineer Literary Festival. Having Peter Fallon launch Boyne Berries 4. The people at the Improbable Research website define improbable research as research that makes people laugh and then think. They collect improbable research, publish a magazine called the Annals of Improbable Research, and administer the Ig Nobel Prizes.